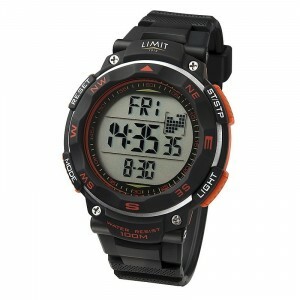 Limit is a British company supplying watches to the UK since 1912. Their watches are designed to off.. The purple version for wearer with small wristPURPLE ABS Case with removable Velcro StrapCan be worn..
Easy seen, easy used. A very popular watch for competitive racers.Large 65mm overall ABS case38mm x ..
Charcoal ABS Case comes with interchangeable PU and Velcro StrapsCan be worn on the wrist or over cl.. The Optimum Time OS Series 2 plastic cased Sailing Watch in OS224V BlueSupplied with a Velcro strap,..